Cool new feature in NET.Notes is an application for event organizing. Almost everybody organize some events in his work, school, local community and sometime it is quite difficult to manage all different things, especially when more people are involved and need to cooperate. But you can do it quite easily in NET.Notes. 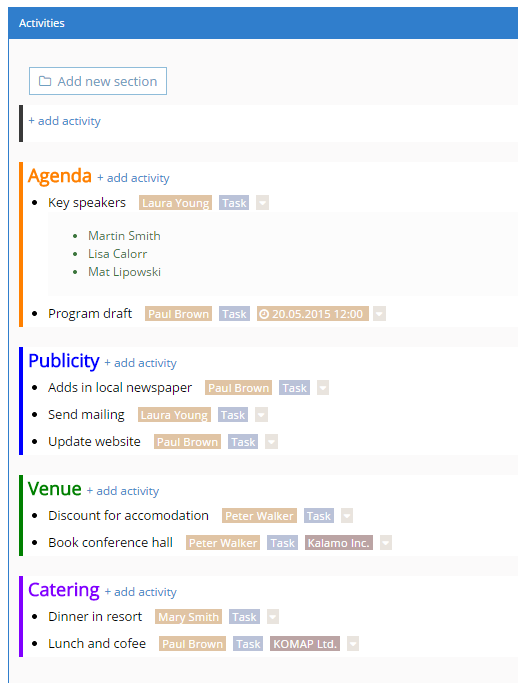 See here how you can manage your tasks, see them in Calendar, GTD, Todo view. It is really easy and funny.